Steven Pressman will be interviewed about his HBO documentary, 50 Children: One Ordinary American Couple’s Extraordinary Rescue Mission Into the Heart of Nazi Germany. In the spring of 1939, Gilbert and Eleanor Kraus, a Jewish couple from Philadelphia embarked on a risky and unlikely mission. Traveling into the heart of Nazi Germany, they rescued 50 Jewish children from Vienna and brought them to the United States. 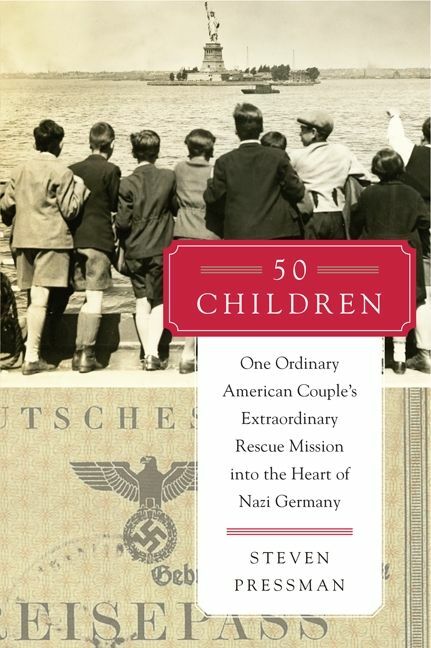 In addition, paperback copies of Mr. Pressman's book 50 Children: One Ordinary American Couple's Extraordinary Rescue Mission into the Heart of Nazi Germany will be on sale by Browseabout Books. Mr. Pressman has agreed to sign copies. This lecture series is co-hosted by the Lewes Public Library and Topical Seminars. Topical Seminars is a bi-monthly meeting of members of our community interested in participating in sessions of informed discourse on a variety of topics. The goal is to have a shared learning experience that will improve the social capital of our community.